When our children are young, naturally we’re pleased when they seek us out for advice, support, or consolation. Instinctively, we know that is our role, and providing guidance makes us feel valued and emotionally close to our kids. Great! Then one day, it’s like someone flips a switch, and suddenly the adorable boy who always wanted a hug to stop his tears, or the outgoing girl who couldn’t wait to fill you in on all her friends, retreats into a cave of intensely personal thoughts and feelings. Why? Did we do something wrong? Was it something we said? How do we get past the “Keep Out” signs that our teen is suddenly posting by word and deed–or should we? Communicating well with kids is always a challenge, but if we had to identify one age group that is especially challenging, I think most of us would say adolescence. The experience of growing up is both exciting and terrifying. Hourly surges of emotion shape the thoughts, choices, and behavior of teens. Some kids ride this emotional roller coaster better than others, but almost all teenagers feel they need some “space” to make the transition to early adulthood. And this is often where the trouble begins between parents and teenagers. Acknowledging that teenagers have a natural need to focus inward doesn’t mean we should throw up our hands and plan on reconnecting at their college graduation! Nor does this mean that teens who are being egotistical, or showing self-centered personality traits, should get a pass. But being self-absorbed simply means retreating into one’s own mind to reflect and figure a few things out. And guess what happens when teens do this? They consciously or unconsciously send us signals that we’re irrelevant to them. It could be as subtle as giving diffuse answers to our queries, or as assertive as wearing an iPod at the dinner table. In both cases, the message is, “work in progress – stay clear.” If we personalize this message our feelings will inevitably be hurt. Hundreds of hours doing family therapy has shown me this only leads to a further breakdowns in communication. A good strategy to employ with retreating teenagers is keeping communication topical and specific. Rather than asking open-ended questions such as, “How’s it going?,” keep your discussions focused and concrete: “So what’s the agenda for the senior ski trip?” Sometimes we mistake confusion for resistancewhen we try and talk with teens. Questions that require self-reflection or social insight, especially when asked of boys, can feel downright mystifying to them. When they don’t know how to answer, a common reflex is to express irritation with the question. So goes the proverbial game of “cat and mouse” as we try pry information loose. Instead, try asking questions with more tangible answers. If you have the opportunity, ask about subjects they’re interested in, or give them a chance to teach you something. At this vulnerable age, opportunities to feel competent, masterful or respected are especially valued. To make your communication less threatening, try adopting a similar tone. By eliminating some, or even most, of the emotion in your voice, you send a signal that it’s “safe” to talk. It’s a kind of promise not to over- react if they disclose something important. I believe it’s especially important to avoid the kind of concerned tone we might use with a younger child. For kids who feel as if they are on the threshold of adulthood, hearing this concern feels condescending and regressive. They want to see and hear that we believe they can handle their own problems – and even if we don’t completely believe that, it’s still important to show a degree of confidence. Does this mean we always have to tamp down our own enthusiasms and act unexpressive to mirror our teens? Of course not. Sometimes, the passionate expression of an adult, who exclaims, “This is exciting! Important! Interesting!” is just what is needed. But mentoring a teen can be like a game of chess. Tactics have to shift as the game unfolds. This is not deviousness–this is empathy, because we are noticing someone’s emotional state and reacting accordingly. The changes of adolescence require a wide berth. Our job is to allow room for introspection, and make it easy–not awkward–for teens to maintain contact with us. The truth is, our words and actions loom extremely large for teens. Our best chance of sustaining contact is keep conversation going, focused on topics where they feel comfortable and confident. Look for ways to express admiration for your teen; ask her for her opinion about a choice you have to make; ask him what he thinks about a situation at work. These types of queries reflect respect and an interest in collaboration. More personal questions can be worked in the conversation less obtrusively, and as a result, are more likely to be answered. The media has been buzzing lately with research about the teenage brain. We all want to know whether the actions of adolescents reflect their will or some type of brain processing issue unique to adolescence. Most scientific studies focus on the development of the prefrontal cortex – the front area of the brain’s frontal lobes. This critical part of the brain is still in dynamic development during adolescence. That wouldn’t be such a problem if the prefrontal cortex weren’t so responsible for judgment, impulse control, and good decision-making. The problem is that as kids reach adolescence, they are confronted with choices that involve much greater risk and far- reaching consequences. Of the many studies that help us to understand the teenage brain, my favorite is a fifteen year longitudinal study completed by UCLA. Dr. Paul Thompson and colleagues did brain scans of a group of individuals, every year between the ages of five and twenty. Then they took the brain scans and turned them into the composite images you see above. This remarkable image provides evidence that the brain develops in a back to forward direction, steadily pruning grey matter all the way into early adulthood. (Grey matter is the important kind of brain tissue responsible for attention, decision-making, and rapid, thoughtful reactions.) This helps explain why the executive thinking skills of many kids don’t take shape until the last years of high school or, possibly, college. Even children diagnosed with a serious case of ADHD in elementary school may literally grow (prune) their ways to greater capability by late adolescence. 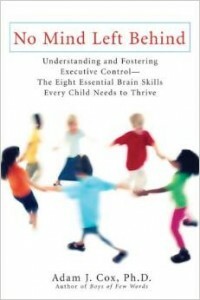 My forthcoming book, No Mind Left Behind: Understanding and Fostering Executive Control – The Eight Essential Brain Skills Every Child Needs to Thrive discusses this issue in great depth. The primary thing to remember is that we have to “strike while the iron is hot.” During childhood the brain is very plastic, and the interventions we provide can help build the memories, networks, and capabilities that give a child their best chance to succeed. Once the pruning process is completed – opportunity has been lost. Grey matter that is pruned because it didn’t get enough mental exercise is unfortunately gone forever. To learn more about the Eight Pillars of Executive Control, check out the articles on my website. Also, stay tuned for additional short articles and checklists on this undeniably critical issue in the months to come. Q. This may seem like an odd question, but I’m worried because my 12 year-old son is doing so well. He’s very smart (he’s been tested as gifted at school), has a wide circle of friends, and is good at sports. He’s a great kid but he seems to assume that everything will continue to be easy for him. He just expects it. Is it weird to be worried that he never worries? I’m happy that he’s confident and sure of himself, but I don’t want him to feel superior or entitled. Is there anything I can or should do? A. This is a question that comes up more than you might realize. It sounds like you’re concerned about him developing two things: empathy and resilience. A child as fortunate as your son won’t continue to be so lucky if he doesn’t have the opportunity to develop compassion for others. Sometimes, the easiest way to have compassion is to relate the troubles of others to our own life. In your son’s case, he may have to develop these skills through projection and imagination, assisted by exposure. Why don’t you give him an opportunity to do some volunteer work – in a setting that challenges his level of ability or unique skills. 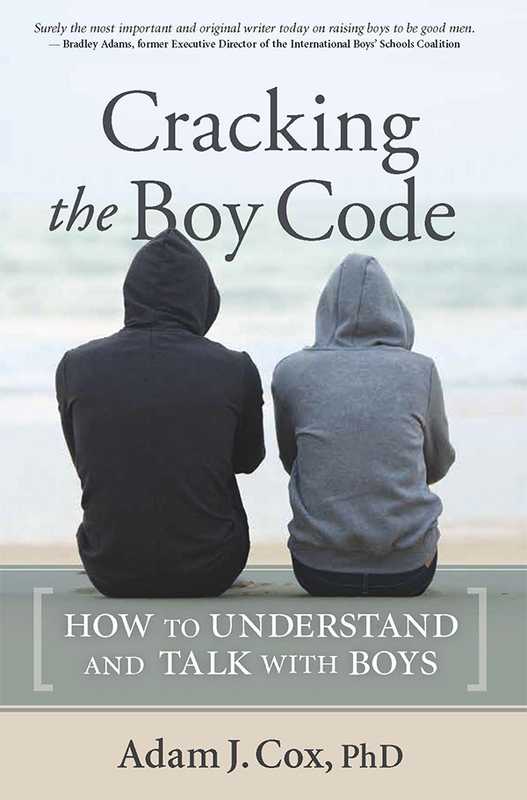 Talk to him about those experiences–“how do you think he feels”–“who do you know in school that might feel like that?” to encourage reflection. Resilience can be intrinsic, but sometimes it has to gained the old-fashioned way – by persevering in a difficult situation. Make sure that you’re not doing too much to pave the way for your son in the adverse situations he does encounter–after all, even those with many natural gifts encounter challenging circumstances. Ask him to meet those challenges that come his way, applaud his positive efforts, and allow him to face consequences. These experiences also teach kids about what is necessary to be a leader. I wonder, is your son content to be “good enough?” If so, defining a leadership challenge – at home, school, or community – may be just what’s needed to balance over-confidence. Q. My 8-year-old daughter is having some problems at school, which also happen at home. Her teacher complains that she will show her how to do a project or an assignment, which she understands, but then the next day she won’t do it or says she forgot how to. I have the same problem at home, unless I’m standing right over her supervising a chore or simple task, she says she forgets or can’t do it. Is she trying for attention, or could she have some kind of memory problem? My husband thinks she just needs to try harder. A. Your daughter may be telling the truth. Learning involves not only comprehension, but also retention. Many, many kids have difficulty moving newly learned information from working memory into long-term memory where it can be retrieved. The problem is that a person hasn’t really learned something until it’s encoded in long-term memory. As a result, many kids who are smart enough to understand something haven’t truly “learned it.” The cure? Reminders, practice, and repetition. These types of mental exercises lead to deep changes in brain biology that enable longer-term learning. I discuss these strategies at length in my workshops, and have addressed them in my next book as well. You may want to consider a formal evaluation for learning strengths and weaknesses. Along the Way: Thanks to Mary Gauthier from Upper Canada College, Sylvia Menezes, Rose Calla, and John Shanahan from Neil McNeil High School, Rosemary Zurawel at the Berkshire Academy, Georgetta Morque and Linda Schnapp for Heard in Rye, and the faculty and parents who came to my recent talks in Toronto, Maine, and New York. Upcoming programs open to the public include the Sid Jacobsen JCC in East Hills, NY on March 8-9, the Right to Education Task Force # 21 in Allentown, PA April 19, and the Toronto District School Board April 26. I will also be in Connecticut, Rhode Island, Massachusetts, and New York during the Spring. If you are near these areas and would like to schedule a workshop please email me or call Jacquelyne in my office to inquire about scheduling, etc. Her number is 610-966-5188. As many know, I enjoy coming to schools and organizations to talk with parents and staff about children and adolescents, and what we can all do to foster their social and emotional development.